To reinvent an exceptional watch, BALL Watch Company started with the basics. BALL improved every component from start to finish and the new Engineer Spacemaster X Lume is indeed a model that has every wearer in mind. 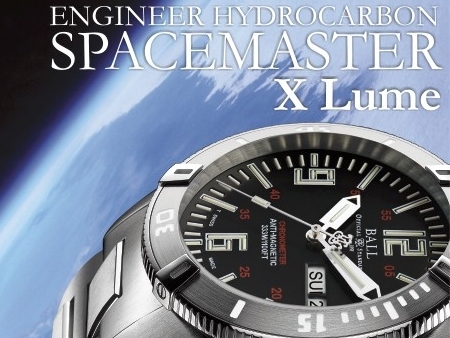 The new Engineer Hydrocarbon Spacemaster comes equipped with a COSC-Certified automatic movement; 80 Ice-blue, yellow, and green gas lights; and a newly designed crown, bezel and bracelet.